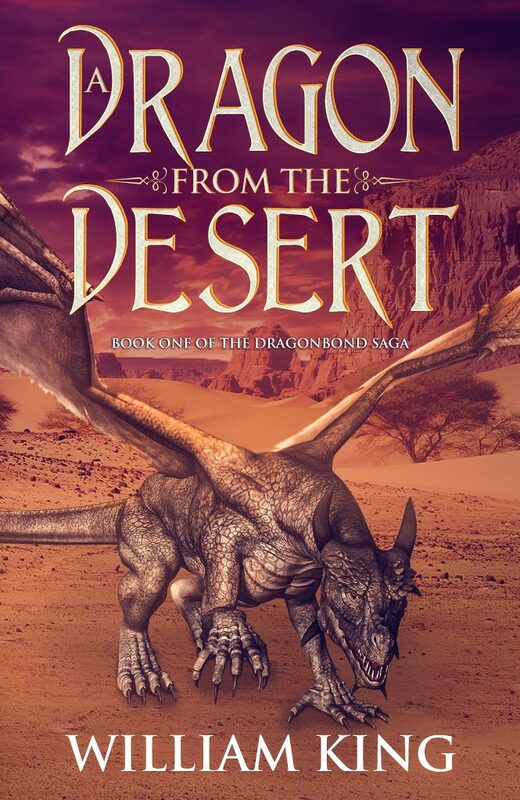 A Dragon from the Desert, the first book in my new Dragonbond series, set in the same world as the Kormak saga, has been released. You can purchase it at all your favourite ebook retailers. It will be selling at $2.99 (or the local equivalent) for the next few days then the price will rise to $4.99. A print version will be released as soon as I approve the proofs. The biggest problem in fifteen-year-old Raif’s life used to be finding lost goats. Now apprenticed to a terrifying war wizard he is caught in the web of intrigue and assassination surrounding the heir to his home kingdom. And if that was not enough, he has become foster parent to an orphaned dragon. He must do his best to make sure he and his new friends survive the dangers of the deadly world in which they find themselves. Here’s the list of store links. Just a quick update to mention I was interviewed on the Combat Phase Podcast about my involvement with Warhammer, Black Library, Tyrion and Teclis, Gotrek and Felix, the Horus Heresy and all manner of other good stuff. You kind find the full interview here. Thanks to Kenny Lull for having me on the show and putting up with the interference of the Powers of Chaos. So that was Carcosacon and it was a lot of fun. 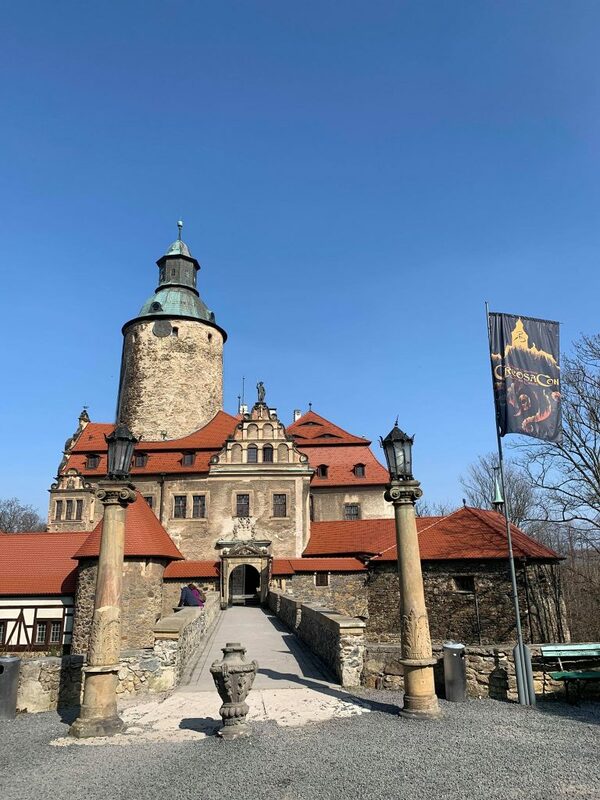 A bunch of us drove up from Prague to Czocha Castle for a weekend of games, panels and live action roleplaying all dedicated to the Cthulhu mythos. 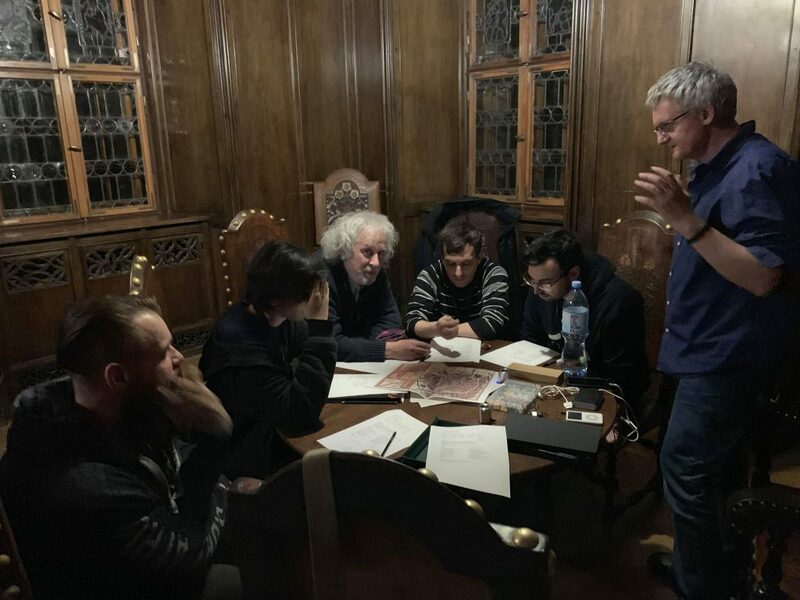 We got there on Friday morning, checked in and were gaming by one o’ clock that afternoon in a library that looked like something from Dennis Wheatley complete with a secret doorway hidden in a bookcase that swung out to reveal a spiral staircase up to yet another gaming room. I thought there never was a better setting for a Call of Cthulhu session but I was wrong, and I’ll get to that later. The scenario itself was run by Mike Mason, line editor of Call of Cthulhu and it was exemplary. We were a small party of occult investigators sent to check out weird goings-on at a farmhouse in that well-known centre of paranormal activity, the Peak District. After a creepy encounter with some odd fertility cult stuff, we ended up blowing our chance to completely thwart the ritual and suffered some casualties, myself included. Some form of portal opened and hideous carnage ensued. First death of the weekend. Start as you mean to go on, I thought. We attended the welcome ceremony and a panel on Mythos roleplaying in WW2. After dinner, it was into another game, run by Mark Morrison, author of the Dreamlands boxed set and editor of Horror on the Orient Express. This was set during the French Revolution, and it featured the best intro I have seen in over fourty years of RPGing. It began in flashback. We were soldiers in the French Army called in to guard the Bastille on 14th July, 1789. We immediately split along political lines with two of us refusing to fire on the crowd of fellow citizens and the rest going into the fortress and preparing to defend it. It was a brilliant way of introducing us to our characters, a tightly knit military unit broken under political strain, and set against each other. During the course of that long afternoon we got to know our characters, a couple of us became heroes of the revolution, and the rest despised oppressors destined to come under suspicion once the Reign of Terror got into full swing. This intro broke so many of the rules I have applied over the years, it was eye-opening. It was told in flashback, it split the party and it worked. It immersed us in the brutality and violence of the period, put everything beautifully in context, and introduced the setting, characters and a good number of the supporting cast in the most dramatic way imaginable. After that, the story picked up years later with the sad remnants of our unit guarding the roadblocks into Paris and soon immersed in royalist escapes, escalating paranoia, a murder mystery and a ghost story. Amazingly enough, none of us died. I don’t want to say to much more for the sake of spoilers, but suffice to say it was an absolute masterclass in how to GM, our experience enhanced by the use of appropriate music and a setting that could not be bettered. We played the game out in a castle bedroom complete with a four poster bed, antique furniture, and a chandelier. In the dark, for the light’s were often dimmed when they were in the story, it felt as if you could have been there. After the game was over the five of us who had come up from Prague agreed that we could have left the convention then and still felt like we had got our money’s worth. It was another great game involving a time-slip from a modern museum exhibition to an old Scottish castle. Once again, I don’t want to say too much, but I was very surprised that we all made it out alive with our sanity intact. This was mostly down to the fact that Emmanuel’s (our psychic) die rolling was little short of astonishing. I would have suspected that his dice were loaded but for the fact that Alex’s was busily failing all his rolls with the same dice. I also suspect this may well be the only Mythos castle that has ever been escaped from by an impromptu Frank Sinatra style rendition of songs performed on a staircase in the face of a coven of astonished cultists. Mark gave an excellent panel on storytelling in Call of Cthulhu and we hit the dealer’s room. I picked up a thematically appropriate elder sign incribed dice box and filled it with metal dice from Q Workshop. Consumerist duty done, we wandered the castle grounds, inspected the fine artwork in the dealer’s room and took a look at the Call of Cthulhu computer game in Polish. In the evening it was LARPING time. The central premise of the story was brilliant, an auction of occult relics that could be used in the demon-god summoning ritual and which let you get swept up in the thrill of a high-stakes auction. It was a lot fun and I enjoyed myself immensely. I was given the part of an self-aggrandising author of occult thrillers (no stretch there then, I hear you say) and cultist planning the undermining of all that is sane. Sadly my attempts to summon demon gods were undermined by the far more important business of getting my own back on a journalist who had given my character a bad review and the scurrilous knave who had sued me just because a person matching his name, description, socio-economic background, drunkenly slurred speech and deplorable personal hygene had appeared as the title character in Fatal Folly of Prudence Harrington, one of my many masterpieces. The monstrous egotism of the man! Sorry! I started channeling my character again there. 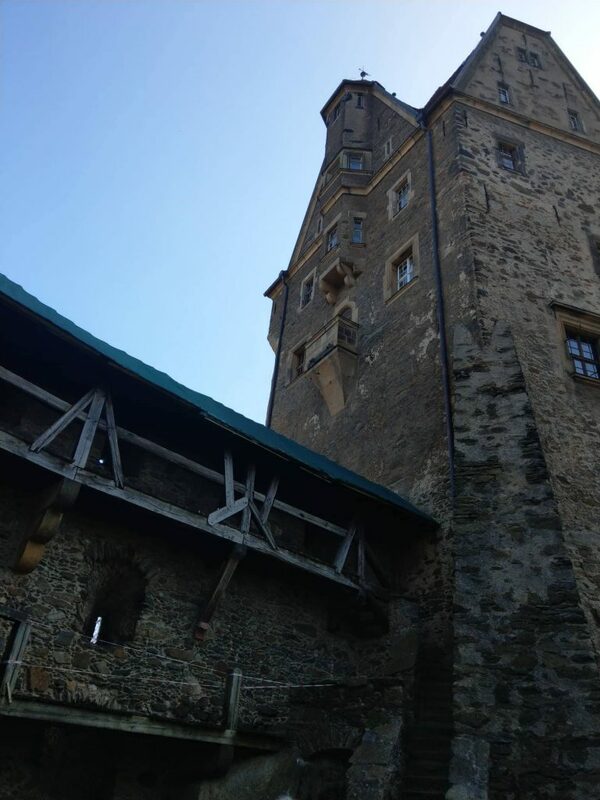 Next day, I got to talk with Ken Hite, of whom I am a big fan, and go for a last wander round the castle before attending a panel by Ken and Robin D. Laws on the King in Yellow. I could go on and on but I think you get the picture. 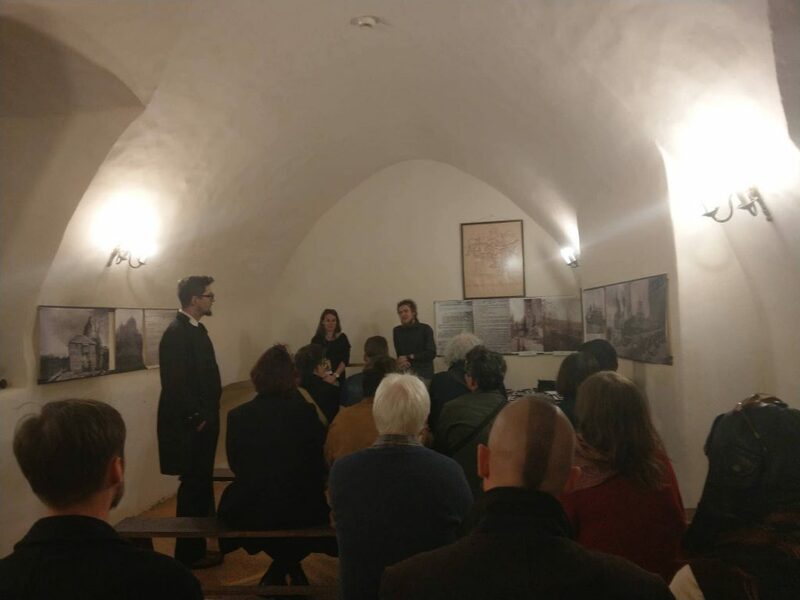 To sum up, Carcosacon was a small intimate con in an amazing location, an old Polish castle riddled with secret passages, a setting that pretty much invited conversation with the other guests. My thanks to Alex, Adriano, Christian and Emmanuel for journeying with me into the heart of madness. And well done the people at Black Monk Games. We’ll be going back next year. If you came here looking for William King’s Author site, you are in the right place. Unfortunately, we are in the process of rebuilding the site so some posts and comments may be missing. Hopefully, the process will be completed soon. For the past ten years or so, I have mostly used Scrivener to write my books. It’s a powerful piece of software that gives you a great deal of control over the structure of any work in progress. It makes backups a breeze and it tracks your daily word count as you write. It can also do an enormous amount of other stuff. You can take snapshots of individual scenes and chapters in a work, and then roll back changes if you are unhappy with them. It can show views of your work as an outline or as a set of index cards. It lets you keep your research material alongside your work in progress. I have unhesitatingly recommended it to anyone who asked for advice on writing software, and to many people who have not. Within Scrivener, I used markdown for formatting. I used Microsoft Word for the final edits. It is the industry standard used by editors, copyeditors and proofreaders. Over the past few years though, my writing process has changed. This has been in part because of health reasons. My RSI ailments have gotten worse and I find I have less energy than I used to, because of diabetes and the assorted medications I take for it. I also find that I work on the go a lot more than I used to, on many different computers and in many different places. I do more ten and fifteen minute writing sprints these days and less sitting in front of my computer for long periods. My books have often been shorter and required less structural changes. I have also come to suspect that there have been times when using Scrivener has impaired my productivity. It has given me more opportunities to fiddle with things like tagging and status and so on. It allows many opportunities to procrastinate in a way that look like work but don’t involve any actual writing. It can also be slow to load on the underpowered netbooks such as the Lenovo 100S that I sometimes use. If you are just sitting down to do a 10 minute sprint, a 30 to 45 second loading wait can eat into the writing time. Over the past year or so I have been experimenting with my writing process and software. I have tried various methods and word processors. After reading Jamie Todd Rubin’s excellent article on how he managed 400K words in a year writing for 40 minutes or less a day,(yep, you read that right) one of the them was using Google Docs, the free word processor from Google. I tried Gdocs many years ago and it was not for me. It seemed like a slow, underpowered, online , cutdown version of Microsoft Word. It was always good for communal writing but I don’t do a lot of that. Google Docs has changed a lot since the first time I looked at. It has a document map that lets you navigate long structured documents. It works pretty much anywhere you can get an internet connection and I have an Android phone where it runs well. In general, I don’t recommend working on a phone, but it is useful if you need to refer to a work in progress when you are out and about or if you just want to do a readthrough. You don’t have to worry about making backups because everything is saved in the cloud automatically as you type. If you setup Google Drive on your various computers, you can have local copies as well. You can also set individual documents to work offline as well. This is useful for those times when you do not have access to the internet. Because you can work in a browser, Gdocs is universal and you don’t need Dropbox synchronisation. It also exports well to many other formats. The main advantage of Google Docs and one that I did not even think about until I used it is a simple one. It lets me use tabs. I can have my outline open in one tab, my notes in another and the document I am working on in a third one. It is easy to switch between them using the Control+Tab keyboard shortcut. If I needed to check my outline or a note on character or setting it was just a key press away. I worked happily in Google Docs for a couple of months. I got a lot done but it had a major disadvantage which frustrated me. On low-powered computers it took a long time to get started, at least as long as Scrivener. In the end this caused me to look at alternative methods. I found working in tabs invaluable so I looked for word processors that would allow me to do that. I found them too but that’s a story for another day. Much to my surprise, Google Docs proved a viable alternative to both Microsoft Word and Scrivener for first draft long form writing. I can imagine circumstances where I might go back to using it. I can even imagine using a Chromebook to get work done, which was not something I ever considered likely in the past.